Cue the tortured wails of patient iPhone addicts: Will we see no iPhone 5 until September? Despite its mysterious PR aura, Apple is generally pretty reliable when it comes to releasing new hardware at a particular time. But now there are rumors that its hardware release dates may be pushed back later than usual this year. Cue the tortured wails of patient iPhone addicts: Will we see no iPhone 5 until September? 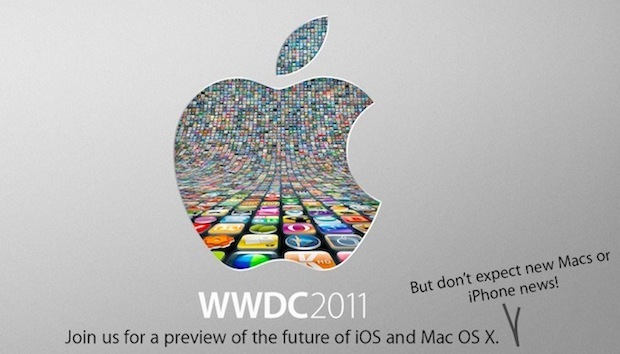 In its new press release announcing the date of the prestigious official World-Wide Developers Conference for 2011, Apple includes a quote from Phil Schiller: “At this year’s conference we are going to unveil the future of iOS and Mac OS … If you are an iOS or Mac OS X software developer, this is the event that you do not want to miss.” The tech world has read between the lines here and is announcing news with variations of the theme of “No new Mac or iPhone hardware at WWDC.” Simultaneously, rumors are popping up that we won’t see a new iPhone until September. Is Apple changing its long-entrenched habits? And if so, why? Part of the thinking about the WWDC’s software focus is coming from Jim Dalrymple at The Loop, who says the Apple press release backs up news he’s heard independently from sources inside Apple. It’s a surprise because Apple has, historically, used the media platform the WWDC affords it to announce new hardware. But is this actually surprising news? Not really. Apple has increasingly chosen to separate its new hardware launch schedules from other events–famously it recently stopped attending MacWorld and the CES show in an official capacity, choosing to shape its own schedule using special-event press releases. The firm is acutely PR-aware, and knows it can garner more limelight for its news if it distances it from other information. Plus, if Apple puts out a press invite, it knows hundreds of high-power tech journalists will always turn up. We also suspected this year would see a modest tweak to many of Apple’s hardware lines, as the company is concentrating on consolidating the software core that drives its equipment. Hence: No hardware news at WWDC is entirely possible, but what that means is we can expect a separate news event when new Macs are released. Meanwhile, speculation that Apple is delaying its iPhone 5 release is popping up in a number of places–and the fact WWDC is focussed on software is increasing the speculation. According to some Chinese sources, the phone is unlikely to arrive until the end of Apple’s current fiscal year because there’s been no ramp-up in production that would have to happen now for a June release of the new iPhone (to match Apple’s previous habits). This would push delivery of a new iPhone until August or September–a date that tallies with information Fast Company had previously received from a person with inside knowledge of Apple’s plans. Does it make sense? Somewhat. The Verizon iPhone 4 was just released in February, and a fresh iPhone 5 coming just four months later may anger millions of Verizon iPhone buyers. Phil Schiller himself teased that a white iPhone 4 was due soon, after long delays, and that too may preclude an imminent iPhone 5 refresh. But hang on a minute: Schiller didn’t indicate the phone was an iPhone 4–it’s plausible that he was hinting that Apple’s solved the production flaws that held back the device, ready for a new white iPhone 5 version. We expect the thing to only be an evolution of the iPhone 4’s core design (perhaps with a new metal rear face), and this thinking allows a white iPhone 5. Apple also released the Verizon iPhone 4 over half a year out of synch with the GSM iPhone 4–so it would be reasonable to assume a Verizon iPhone 5 may arrive later than a new GSM iPhone 5. And a number of parts purporting to be from the new iPhone have already popped up online, suggesting it’s already under some sort of production. Apple also recently spent a lot of cash securing far Eastern supply lines (particularly for touch displays) and it would be unreasonable to expect this to be merely a holding pattern for the better part of half a year with no new products. In summary: What we may be seeing is a change in Apple’s marketing habits toward individual press events, and possibly a slight shift in its hardware release dates. But it’s not a disaster, nor a surprise. It’s merely carefully planned to drive up public interest and compete with Apple’s peers. While waiting a few more measly months for a new device may not seem like hot news, Apple’s product offerings center on just a handful of individual devices–and since it’s one of the world’s biggest tech companies, a change to any of these results in billions of dollars of sales, and causes ripples all throughout the tech marketplace.